Balloon enteroscopy (BE) can be used for endoscopic retrograde cholangiography (ERC) to treat biliary strictures in patients with surgically altered anatomies. However, biliary strictures, including bilioenteric anastomotic strictures, are often very severe and dilation catheters cannot pass through them. The Soehendra stent retriever (SSR) is like a screw drill and can be useful for dilating severe strictures, but the utility of SSR during BE-assisted ERC (BE-ERC) is unclear. 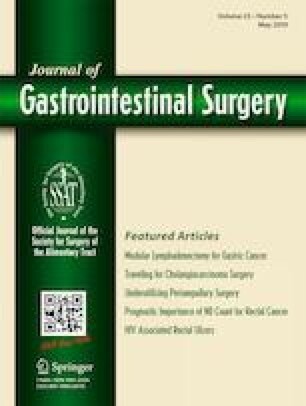 This study aimed to examine the efficacy and safety of a dilation technique using the SSR during BE-ERC. Between 2014 and 2018, 28 patients with surgically altered gastrointestinal anatomies and severe biliary strictures underwent BE-ERC, and the SSR was used for the dilation procedures. We evaluated the technical success, therapeutic success, and adverse event rates associated with SSR dilation. The technical success rate was 93% (26/28). The procedures undertaken on two patients with non-anastomotic strictures failed technically because the SSR was not long enough to reach the strictures. The therapeutic success rate was 96% (25/26) for the patients whose procedures were technically successful. The adverse event rate was 7% (2/28), and the adverse events were mild and improved with conservative management. No bleeding or duct perforations occurred. Although the indications for using the SSR in patients with non-anastomotic strictures should be considered based on the distance between the tip of the scope and the stricture’s location, SSR dilation may be a useful option during BE-ERC if a biliary stricture is very severe. Tadahisa Inoue: conception and design, data acquisition, analysis and interpretation, drafting and reivising of the manusprict. Mayu Ibusuki, Rena Kitano, Yuji Kobayashi, Norimitsu Ishii, Tomohiko Ohashi, Yukiomi Nakade, Yoshio Sumida, Kiyoaki Ito, Haruhisa Nakao, and Masashi Yoneda: data acquisition and interpretation, revising of the manuscript. Our hospital’s institutional review board approved this study in accordance with the principles of the Declaration of Helsinki (Approval number: 2017-H353). All authors had access to the study’s data, and they reviewed and approved the final manuscript. American Society for Gastrointestinal Endoscopy (ASGE) Standards of Practice Committee, Anderson MA, Appalaneni V, Ben-Menachem T, Decker GA, Early DS, et al. The role of endoscopy in the evaluation and treatment of patients with biliary neoplasia. Gastrointest Endosc. 2013 Feb;77(2):167–74. https://doi.org/10.1016/j.gie.2012.09.029. Pinto-Pais T, Pinho R, Proença L, Fernandes C, Ribeiro I, Pereira T, et al. Iatrogenic biliary injury in a patient with Roux-en-Y hepaticojejunostomy: stenting repair with single-balloon enteroscopy-assisted ERCP. Endoscopy. 2014;46 (Suppl. 1 UCTN):E506–7. https://doi.org/10.1055/s-0034-1365431.